We had brand new stampers, and seasoned veterans. 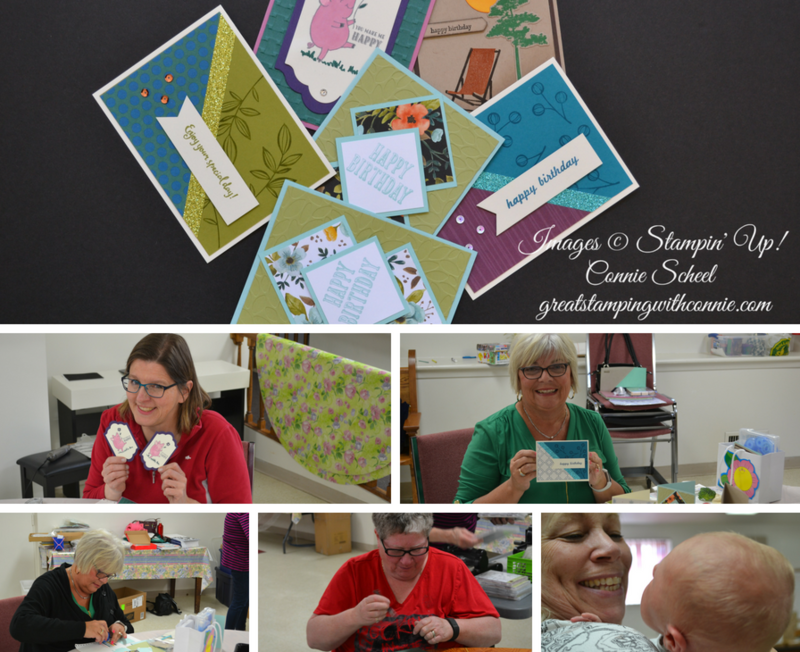 We celebrated retiring Designer Series Paper, colours and stamps, as everyone added their own flair to their projects. Our youngest attendee didn't do any stamping, but Cole sure gave great cuddles!